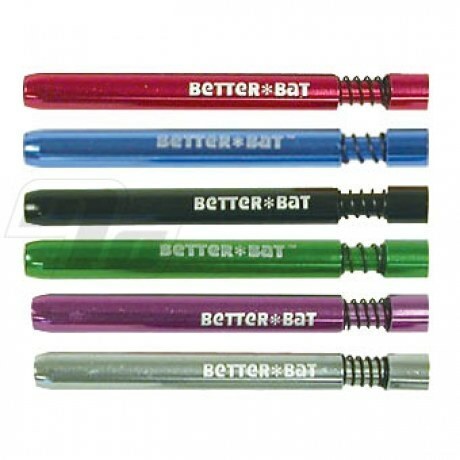 Large BetterBats fit any of our one-hitter dugout boxes as well as KryptoKits or make a great little stealth bat on their own. 3 and 1/8 inches long (8cm). Shiny and safe anodized aluminum. 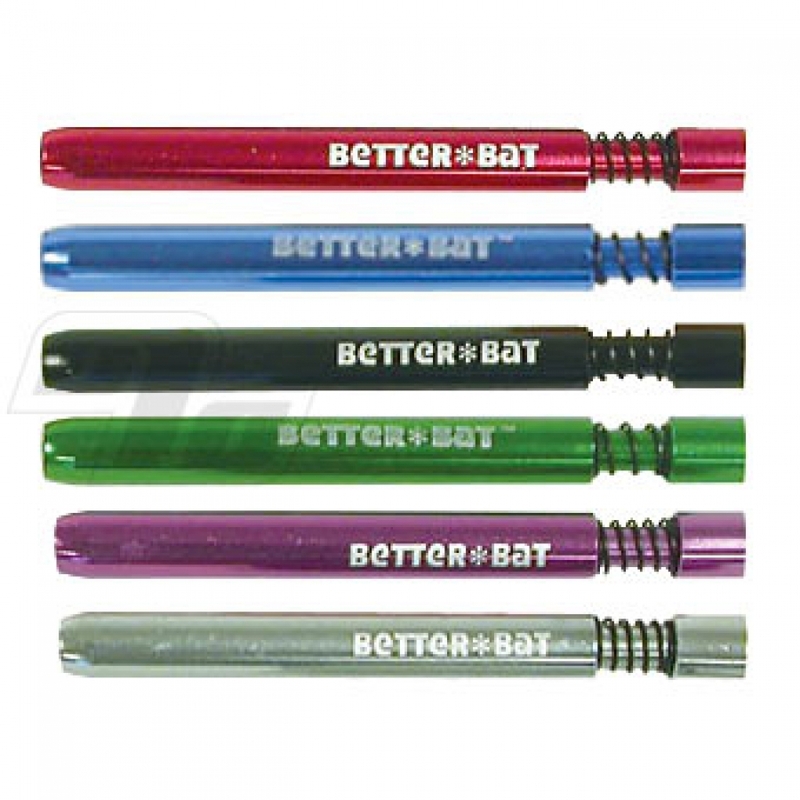 BetterBats are ideal for when you are trying to quit cigarettes and want to reduce your intake of Tobacco. I ordered a small one first, liked it but it was a bit to small so I ordered the large one and I LOVE it!! awesome one hitter. Tell everyone to get one! Recently, I purchased a new bat...a Better Bat! These are wicked awesome! I was so tired of trying to clean out the standard bats...buy a pokey thingy, soak in alcohol, use spiked pipe cleaners and maybe 15 minutes later I would have a clean bat....these new bats are terrific! One simple 'plunge' and you're good to go! Crazy! The only drawback I find is that if you're trying to be stealthy, they do NOT look like the old white/tan bats....I'll be replacing all of my old bats with the new Better Bat as finances permit. Also a great gift idea for your favorite smoker!!!! Great product, all in all! Great price for a great product. Works very well. Hasn't gotten clogged yet. Fits my large dugout box perfectly. I will get a second one, as I like to have backups for everything, just in case I lose it. Only problem I'm having is deciding which color to get next. Smoke out a bat 99 percent of the time. Have bought generic push bats locally before but was not satisfied with construction. Normal bats need toothpick or something after one or two uses. Way too messy for someone using them all the time. These seem better made than others I have seen. One push one blow and this bat is clean. Can actually ash it in a sanitary manner. I will be buying these from now on.